This is one of the many tips I adopted from Marie Kondo's method. 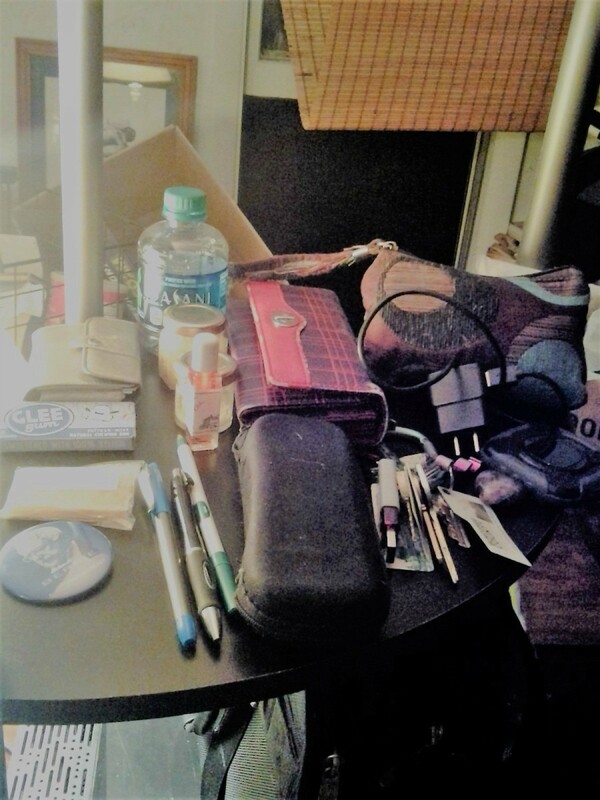 This tip tells us to empty our purses every day, and find one drawer, shelf, or station, hopefully near the front door, in which to keep the contents while we are not actually using it/in transit. At first, like many people, I felt skeptical of the idea because, let's face it, we all need the same sorts of things everyday. the simple ability to keep it all tidy, cleaning out receipts, trash, etc. energy things, if you believe in that sort of thing. Things are just better when you air them out. You don't actually need all the things on a day to day basis! This method allows you to pick and choose. it really is no effort at all. I mean, no effort. When I first started I thought "oh well, this is just going to be another one of those things", but I didn't even feel it. It takes less than a second to dump things from my bag onto a shelf! These are the things I found were a benefit to actually adopting this arcane-sounding dictum. When I have lapsed in that protocol I find that things get messed up.